I had great difficulties as a Catholic priest in listening to evangelists in my fourteen years of searching for the Gospel. Christian radio programs continually told me the amount of things I had to do to accept Jesus into my heart. Christian tracts likewise told me the amount of dedication or commitment I needed in order to make a decision for Christ. After an agonizing search in the face of being told what I must do to be saved, I discovered that the first thing that must be understood biblically about the Gospel is that it is “concerning Jesus Christ our Lord”, in the words of Paul in Romans 1:3. While the Gospel is proclaimed to all, it is not about Christ accepted in to our hearts, it is centered on the Jesus Christ the Lord, His faithfulness, His death and resurrection and our being found acceptable in Him by His grace. The Apostle Paul loudly proclaimed the Gospel as the righteousness of God manifested! He declared, “but now the righteousness of God without the law is manifested, being witnessed by the law and the prophets.” Righteousness of God is that perfect faithfulness to the law of God in heart and life, which the holiness of God requires. This, the Apostle enthusiastically announces, is now established—for Christ’s faithfulness is revealed! Before God’s all holy nature, sin had to be punished and true righteousness established. This has been accomplished in the faithful obedience of the Lord Christ Jesus to live perfectly under the law, which includes His perfect sacrifice on the cross. In evangelizing a Catholic, one must be absolutely aware not to give any process message. The Catholic has been continually told how to do things to be pleasing to God. The first Fridays, first Saturdays, the Blue Scapular, “The little way of St Teresa”. Likewise the apparitions are full with messages of what to do; the Catholic’s life is full of what to do. When one approaches a Catholic, it must be regarding what Christ has done, and the simple commandment to trust and believe. Using expressions such as “Accept Jesus into your heart” and “Give your life to Christ” are quite similar to what the Roman Catholics hear inside Catholicism, sometime those exact words. These messages must be completely left aside if one is to truly evangelize. It is necessary therefore that we discuss some of some of the wrong ways of evangelizing that are absolutely detrimental to the true Gospel. “Accept Jesus into your heart.” is one of the most used sentences in modern Evangelical circles. This humanistic concept is not biblical. The biblical concept of salvation is that by grace the believer is accepted in Christ. The whole theme of Ephesians Chapter 1 is summarized in verse 6, “To the praise of the glory of His grace, wherein He hath made us accepted in the Beloved.” The terminology, “accept Jesus into your heart” is backwards. It assumes wrongly that salvation in the human heart. Consistently in Scripture, salvation is shown to be in Christ and in Him alone. In Him alone is that perfect righteousness that is sufficient before the Holy God to justify unholy sinners. The Lord Christ Jesus does not stand waiting to come into any sinful man’s heart, He commands all men everywhere to believe in Him. Faith in Christ alone saves, not faith in some inner process that has been subtly given in its place. The sanctification text (Revelation 3:20) spoken by the Lord to those in the Church is totally misused. (It is no wonder that some ministries that use this message also endorse “Conversion as a process” in Evangelicals and Catholics Together: (ECT 1) and other similar false Ecumenical documents). Many are deceived upon this vital matter, sincerely believing that they have received Christ as their personal Savior while in fact they have believed in a ritual. Catholics can be deceived upon this vital matter, sincerely believing that they have received Jesus into their hearts. These people still remain in the Roman Catholic Church believing themselves now to have done the Evangelical thing to add to their many rituals in Catholicism. It is unspeakably serious to give a deceiving salvation message. “Give Jesus control of your life to be saved” is another well known unbiblical approach. This teaching is in error because the Sovereign God of the universe controls His creation. He is the One “Who worketh all things after the counsel of His own will.” Then there is nothing any person might think of to give God in exchange for salvation, in the words of the Apostle, “not by works of righteousness which we have done, but according to His mercy He saved us...”. Christ Jesus Himself was the only sacrifice for sin acceptable to the Holy God, and that sin offering was accomplished completely at the cross. The sacrifice for sin is finished. A person is made right with God by grace through faith in Jesus Christ, not by a promise of “controlled behavior”. Controlled behavior is a process following on salvation rather than the initiating cause of salvation. These are some of the humanistic ways in which modern Evangelists give a so-called gospel. The examples given here are just cases in point to illustrate the departure from the true Gospel that is taking place in the modern world, and to alert the Lord’s people to give the true message. Having seen the command to believe, we must then realize that without God’s grace, no person can believe. The highest expression of the loving kindness of God is grace. The term denotes the very nature of the graciousness of God. Therefore, the Scripture insists, “that in the ages to come He might show the exceeding riches of His grace, in His kindness toward us, through Jesus Christ.” Salvation does not proceed from anything in the one witnessed to, but rather it issues forth from the kindness and mercy of God. The Biblical tension between these two points that every person is commanded to believe, but without God’s grace, a person cannot believe must be clearly evident in our witnessing to Catholics. 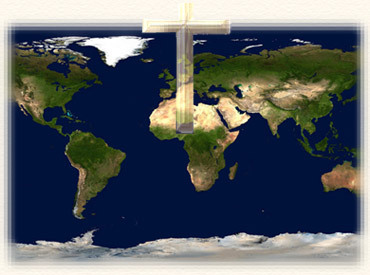 This tension is expressed in some Scripture texts, for example, John 1:12-13, “But as many as received Him, to them gave he power to become the sons of God, even to them that believe on His name: which were born not of blood, nor of the will of the flesh, nor of the will of man, but of God.” Both aspects are also given in the preaching of the Apostle Paul, “Be it known unto you therefore, men and brethren, that through this man is preached unto you the forgiveness of sins, and by him all that believe are justified from all things, from which ye could not be justified by the law of Moses.” Likewise, the Apostle Peter teaches that true saving faith by which we believe, is acquired through God, “Simon Peter, a servant and an apostle of Jesus Christ, to them that have obtained like precious faith with us through the righteousness of God and our Savior Jesus Christ.” The design of the Lord in these and other verses is to show that a person must believe on Jesus Christ for salvation, yet to do so he needs grace. In witnessing, we show a person that to believe he must look to the Lord for grace. All those that come to rest in faith on Christ Jesus are not only convinced of the evil of sin, but of the fact that the very power to believe is His gift. The graciousness of the gift is highlighted by the Apostle Paul, “being justified freely by his grace through the redemption that is in Christ Jesus.” Grace is a free, undeserved gift, unmerited and stands opposed to what is obtained by ones own efforts or as a matter of claim. 2. “What is your purpose in life?” Then following the response, “Before the All Holy God what is your purpose? The Apostle Paul’s summary of the Gospel is an example of the exact meaning of salvation. “For He hath made Him to be sin for us, who knew no sin; that we might be made the righteousness of God in Him.” Christ Jesus was not “made sin” by the infusion of vice or sin, nor is the believer “made righteous” by the infusion of holiness. The Lord was personally All Holy; yet as the substitute for the believer’s sin, He rendered Himself legally responsible to the wrath of God. The purpose of Christ’s faithfulness in all that He did, culminating in His death on the cross, was that His righteousness might be credited to the believer. God legally constituted Christ to be “sin for us.” He was “made sin” because the sins of all of His people were transferred to Him. In like manner, God’s reckons to the believer Christ’s righteousness. Quite clearly, salvation is a judicial and gracious act of God whereby a believing sinner has legal right standing in Christ Jesus. This mindset is officially taught in the RC Church, “‘Believing’ is an ecclesial act. The Church’s faith precedes, engenders, supports and nourishes our faith. The Church is the mother of all believers. ‘No one can have God as Father who does not have the Church as Mother’” Catechism, Para. 181. When we have the word “receive” as in 1 John 1:12, the word is explained as those who believe on Him, so that the receiving is the knowledge of Him, whereby we believe on Him. “But as many as received him, to them gave he power to become the sons of God, even to them that believe on his name”.